This article is about the village. For the monastery, see Amaras Monastery. Amaras is situated in Nagorno Karabakh. It was a prominent religious and educational center in Artsakh, one of the historic regions of Ancient Kingdom of Armenia. Amaras is the site of the Amaras Monastery, one of the oldest in Nagorno Karabakh. 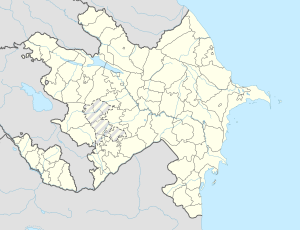 This village is in an area controlled by the self-proclaimed Nagorno-Karabakh Republic. This Khojavend Rayon location article is a stub. You can help Wikipedia by expanding it. This page was last edited on 5 September 2017, at 22:25 (UTC).